There are so many foundations out there—each one promising something new and different. There's Laura Mercier's Candleglow Soft Luminous Foundation ($48), which has a serum-like consistency and offers lit-from-within benefits. Charlotte Tilbury's Magic Foundation ($44) is thicker, but it also boasts transformative color-correcting and coverage. Not to mention, all the BB, CC, and DD formulas that have are mainstay on our shelves. Though the massive number of products we’re inundated with may seem overwhelming, there are a few varieties that are worth investigating—and applying—to your heart’s content. All you need is an expert makeup artist to explain when to use each one… But guess what? We did that for you. Keep scrolling for the right foundation to use at each time during the day and night. At this point, you’re waking up and getting ready to go to work. If you’re like me, you’re already firmly planted at your desk. But hey, we can’t all be morning people. 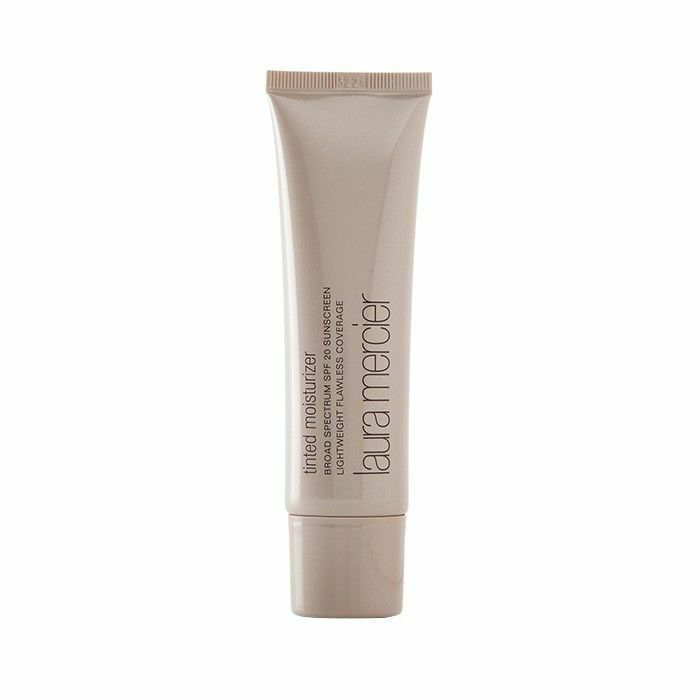 Kira Nasrat, celebrity makeup artist and Violet Grey brand ambassador, recommends starting your day with Laura Mercier’s Tinted Moisturizer ($44). "It's super moisturizing and gives you the I woke up like this effect," she explains. It doesn’t feel sticky or heavy (which is a terrible feeling in the morning), and it won't look unflattering under fluorescent lighting. By this time, you most likely could use a little touch-up before a lunch meeting or daytime event. "Start with Tatcha’s Oil Blotting Paper ($12) to ward off some of the shine," Nasrat suggests. 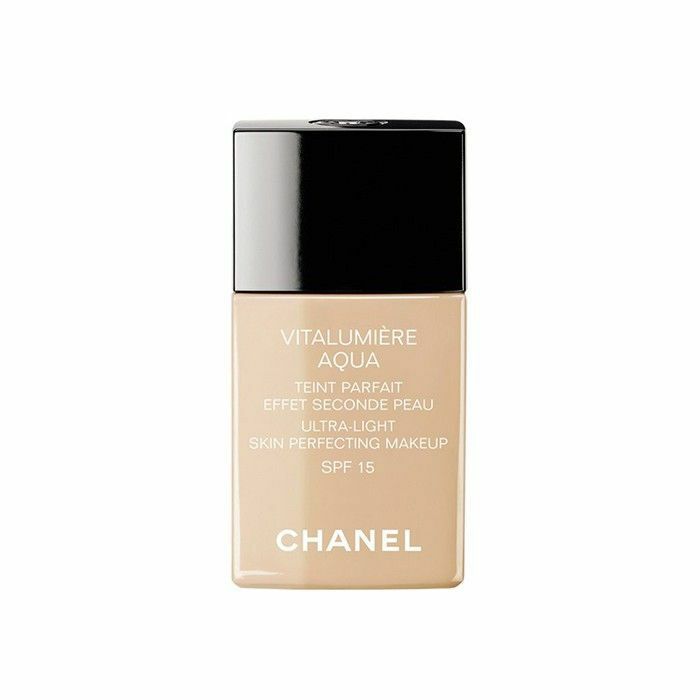 "For an early-afternoon refresh, I like Chanel’s Vitalumière Aqua Foundation ($48) because it's a perfecting, lightweight foundation. It has a fresh finish, and it's oil free, so it'll curb shine throughout the day." Now you're officially in your late-afternoon slump. Buck up, girl! Nasrat says, "Bust out a concealer and start covering up and blemishes or redness. Now blend away! 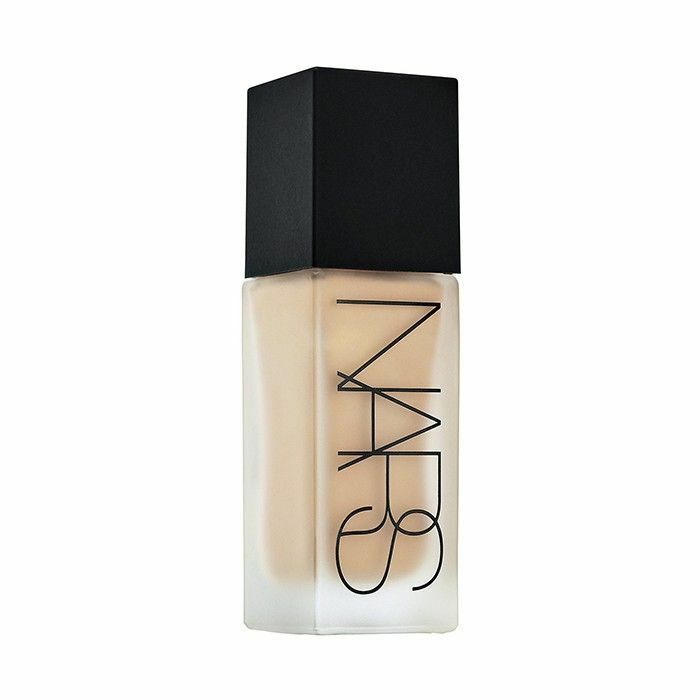 I suggest Nars's Creamy Concealer ($29), as it is super pigmented and blends beautifully with your fingers." The day is winding down, so you're going to need a feel-good product that covers. 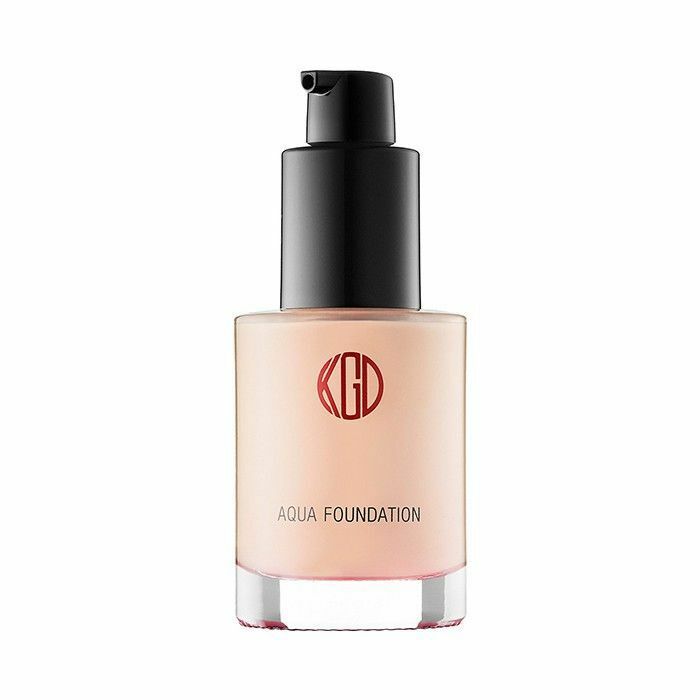 "The most natural-looking foundation is Koh Gen Do's Aqua Foundation ($62)," Nasrat adds. I can attest to that—it genuinely feels nice and soothing as you apply it. She continues, "I love that it's sheer and lightweight, but gives a really pretty dewy glow. With just one layer, you even out your skin and it looks fresh, even at the end of the day." It's happy hour! First things first, leave the office immediately. Nasrat says, "Get Avène's Thermal Spring Water ($9) and give yourself a good spritz. This will help freshen your face. 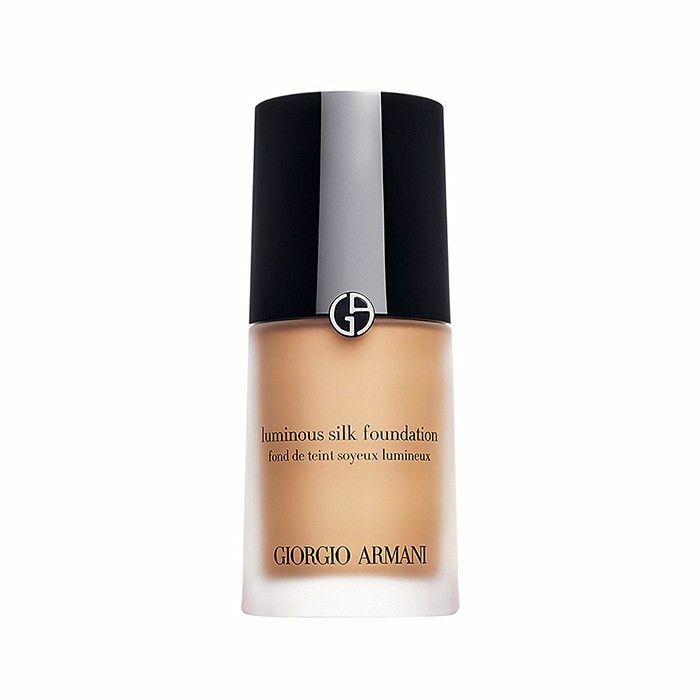 Then apply Giorgio Armani's Luminious Silk Foundation ($62) using just one to two small pumps all over the skin. It's not as light as the tinted moisturizer, but it's super-natural looking and certainly Instagram-ready." Now, you're about to hit the town. Nasrat suggests, "Get the Nars concealer out again, and go to town with it—making sure you cover all the areas that can potentially be a challenge (your under-eye area, around the nose, your T-zone). Apply Nars's All Day Luminous Weightless Foundation ($48) because it's full coverage and it's going to be a long night—you'll need a long-wearing foundation that won't let you down mid-party. Set your makeup with Bobbi Brown's Loose Power ($38), and spray your face with the Avène water so your makeup is set." Now that you've got your foundation game down, learn about the exact skincare routine you need, based on your skin type.